« feelings on my arm. Get ready Broncos fans – Brady vs. Manning XV is set. 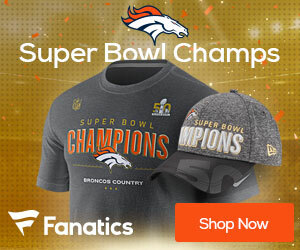 The Broncos will host the AFC Title game next Sunday against the rival New England Patriots after their 24-17 win over the rival San Diego Chargers. Peyton Manning was masterful and error free against the Chargers, throwing for 230 yards and two touchdowns and making some huge plays down the stretch to keep drives going. The Chargers tried different defensive packages to try and disrupt Manning, but the Broncos O-line did a tremendous job to keep him upright all afternoon. Up 17-0, the Chargers rallied to get within seven by the time it was over, but key third-down conversions sealed the victory. Philip Rivers capitalized on an injury to cornerback Chris Harris Jr. to stage what was almost a miracle comeback for the Bolts. Rivers hit Keenan Allen with a 16-yard touchdown pass at the 12:59 mark of the fourth quarter to draw San Diego to within 10 at 17-7. Knowshon Moreno put the Broncos up 24-17 on a three-yard run at the 8:12 mark of the fourth. Allen again got the Chargers to within 10 with a 16-yard TD pass with 5:43 left to make it 24-14. The Chargers got the onside kick and Nick Novak kicked a 30-yard field goal to make it 24-17. That was as close as the Chargers got, as the Bolts defense couldn’t stop the Broncos from getting a couple first downs to seal the win. 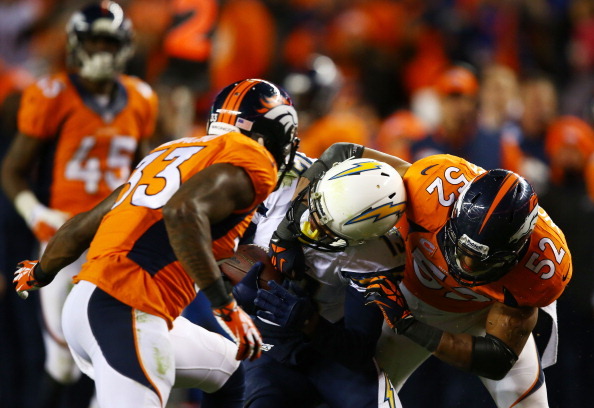 Knowshon Moreno was effective in the run game for the Broncos, running for 82 yards on 23 carries with a key score. The team knows all too well what lies ahead next week, as the Patriots will come to town trying to stop the Broncos run to Super Bowl XLVIII.